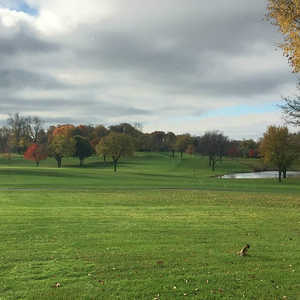 Par-3 Strategic Fox in metro Detroit makes Fox Hills Golf & Banquet Center a must-play in a golf-loving city. 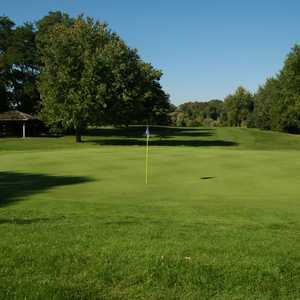 The Strategic Fox at Fox Hills Golf & Banquet Center in Plymouth, Mich., is an 18-hole, par-3 course. PLYMOUTH, Mich. -- Years back, when my grandfather would take me to Fox Hills Golf and Banquet Center for our weekly Thursday morning golf match, we'd enter the property and drive down the long driveway lined on each side by cornstalks towards the clubhouse. Then, one year, the corn on the right was gone, and a driving range and a new Golden Fox, an 18-hole championship course, had replaced it. Now, years later, I've returned to find the cornstalks on the left gone in favor of more golf: the Strategic Fox at Fox Hills Golf & Banquet Center, an 18-hole, par-3 course. Located on the outskirts of metro Detroit in a location that is more remote than its position just 30 minutes from downtown Detroit might indicate, Fox Hills originally opened in 1927 as a private club. 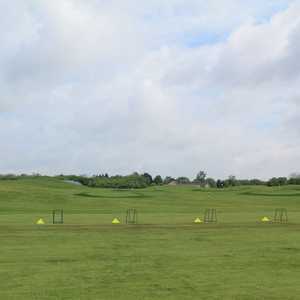 The family-owned facility has continually added and upgraded what it has to what it is today, nothing short of one of the area's most adored public golf clubs among locals for its value and variety. The 27-hole Classic Fox is an old-school parkland but still worthy and affordable test of golf. It's especially popular for local leagues after work, and each nine-hole route has its own character -- and plenty of scenery with forests, lakes, hills and no real estate surrounds. The newer Golden Fox is a modern, Arthur Hills-designed championship course that commands the highest green fees ($59 on weekends with a cart) as well as its own 32,000-square-foot clubhouse and banquet facility. But the Strategic Fox rounds out Fox Hills with a chance for beginners to learn the game -- or better players to get in a quick round in about two hours. To use a retail metaphor: Fox Hills' 63 holes has the Old Navy, Gap and Banana Republic all in one spot, to pick which style suits you. Architect Ray Hearn designed the Strategic Fox, which opened in 2001. The first thing that struck me as I returned to the property for the first time since the course was built was how much the land was crafted from flat corn rows. Ponds, wetlands, trees and rolling hills help give the course plenty of visual variety. While the most beginner-oriented of the golf offerings at Fox Hills, the Strategic Fox still attracts a diverse tee sheet. "The best part about the Strategic Fox is the variety of groups out there all at one time," said Hearn. "You'll see a group of seniors, a couple on date night, guys off work who want to play a quick round." The course has three sets of tees, and from the backs, two holes play 195 yards, while the majority of holes play between 100 and 170 yards. The greens are much larger than what you'd normally find on a par-3 course at, say, a private club. Because of this, lower handicap players won't have a hard time hitting greens off the tee. For those who are hoping errant shots lead to challenging your short game, you may end up with long, 40-foot putts instead. "We wanted beginners to have the sensation of hitting the green with a drive," said Hearn of the decision to built large greens, many of which offer the chance to run a ball up to. But beginners will have to test their mettle on a few occasions, including the par-3 17th hole, which is all carry over water up to 171 yards and should be a good barometer of how far a beginner's game has come. On a long summer day in Michigan, you could feasibly play all 63 holes at Fox Hills -- and maybe even hit a small bucket on the range. No facility is as all-encompassing here in metro Detroit -- and that's saying something, given the scores of public access courses in such a golf-obsessed part of America. You won't find any of the area's highest-ranked golf courses here, but what you will find are filled tee sheets on three courses filled with locals who play their weekly game here because the value and shots are all there. It's why my grandparents took me to play the Fox Hills' Classic course throughout my childhood more than any place else. Fox Hills is located west of downtown Detroit, about 20 minutes from Metro Airport and about that far from downtown Ann Arbor. With two different clubhouses and three courses to choose from, it's a favorite venue for large golf groups and banquets. One thing Fox Hills doesn't have is on-site lodging, so for that, head a couple exits east on M-14 to the Inn at St. John's. St. John's is an older, 27-hole golf course in its own right, built around a seminary and is known for having some of the area's best greens year after year. The inn opened just prior to Detroit's Super Bowl in 2006 -- not only are there stylish, large rooms with new electronics and bathroom appliances, you can walk to Carl's Golfland, one of Michigan's great golf superstores and driving ranges.